BUFUJA, Uganda (Morning Star News) – Muslim villagers in eastern Uganda on Nov. 23 destroyed the maize crops of a former Islamic sheikh (teacher) in eastern Uganda who was beaten unconscious after revealing his faith in Christ, sources said. The day before his fields were destroyed, 30-year-old Malik Higenyi of Bufuja village, Butaleja District, received threatening messages on his mobile phone, he told Morning Star News. Higenyi, who along with his wife and two children secretly embraced Christ on April 16, made an open confession of faith at his church on Nov. 13. News of his confession reached a mosque in nearby Lubanga village immediately, sources said. Higenyi suffered a head wound and a broken bone in his right hand. Relatives ostracized him, and Local County 1 Chairman Walubi Mailadi supported their opposition to his conversion, sources said. Fearing attacks, he and his family have been unable to return to their thatched-roof home. The family received Christ when a local pastor (name withheld for security reasons) visited his home and discipled him the following months. Since Higenyi’s public confession, Muslims from Lubanga mosque have been holding meetings to discuss his punishment, and after Friday prayer meetings they have issued harsh statements against apostates, sources said. Higenyi and his family are now without a home and have taken refuge at an undisclosed location. “Please pray for Higenyi’s family at this difficult time, for they are emotionally troubled,” the pastor told Morning Star News. The attacks are the latest in a series of aggressions against Christians in eastern Uganda. On Oct. 20, Muslims in Kobolwa village, Kibuku District gutted the home of a Christian family for housing two boys who had been threatened with violence for leaving Islam. 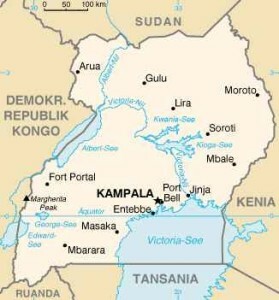 On Aug. 10, a Christian woman in eastern Uganda became ill after she was poisoned, she said. Aisha Twanza, a 25-year-old convert from Islam, ingested an insecticide put into her food after family members upbraided her for becoming a Christian, she told Morning Star News. She and her husband, who live in Kakwangha village in Budaka District, put their faith in Christ in January.